I’ve been replaying Capcom’s fabulous beast-em-up Monster Hunter: World on PC over the last few days, and am pleased to report that it’s running (and looking) noticeably better on PC than it did on PS4 Pro. However, getting it running smoothly required some tweaking, even on my powerful machine. I’m using an Intel i7 4770 CPU and a GTX 1080 graphics card, which puts me well above the recommended specs. I’m also playing in 1440p on a 144hz monitor, which puts me well above the recommended resolution and frame rate. Monster Hunter: World includes an option for playing with an uncapped frame-rate, though I was initially unable to get things running above my preferred threshold of 60fps. Fortunately, the game gives you several options for tweaking its visuals, and adjusting a few of those got me safely in the 65-80fps zone for most of the game. Here are the settings I’ve been using. Resolution at 1440p, vsync off. Click to zoom in. It’s running at around 60-70fps here, though with it and the other settings turned up, the game was frequently well below 60fps out in the world. A little less saturated, but.. fine. (Again, click to see it at full resolution.) It’s running above 100fps here. A happy middle ground. This area runs at around 80fps. With my current settings (seen in the earlier screenshot), I’ve been staying comfortably north of 60fps. However, I haven’t had a chance to extensively test the game’s performance past the first few hours and the first two regions, nor have I been able to try it on any other PCs. I also can’t report on how multiplayer is, since so few people have been on the game’s servers. Katharine Castle at Rock, Paper Shotgun reports that when she set the game’s resolution scaling to “prioritize resolution,” her GTX 1070Ti dropped into the 40fps zone, and that her colleague John Walker was having similar performance issues on his 1080. I’m not entirely clear on the process behind the game’s resolution scaling, which dynamically lowers the in-game resolution to keep things running smoothly, since the menus are vague about what’s really going on. I’ve got mine set to “high,” which looks to me to be the way to make the game sharpest. There’s no clear way to turn resolution scaling off in the menus, but while I can’t be certain it isn’t occasionally adjusting things in the background, it looks more or less like it’s running in a consistent 1440p. Now that I’ve got the game running smoothly at a good frame rate, I’ve been having a great time. I played a ton of MH:W on PS4 Pro, and while I loved it on that system, it’s definitely easier to play on PC at a higher resolution and frame rate. I can see things more clearly, and I feel like I can react more easily to what’s happening around me. When I flee from a huge monster, I have an easier time scanning the environment for helpful paratoads and ammo pickups. When it’s time to stand and fight, I’m more able to read the creature’s body language and dodge its attacks. Some of that is that after 80 hours on PS4, I’m just a better player than I used to be. But there’s no question that the smoothness of its performance on PC plays a part. I’ve been playing the game with a controller, since I rarely play third-person melee games with a mouse and keyboard on PC. My cursory (get it?) tests of the mouse and keyboard controls show that they’re plenty functional and more usable than I would’ve thought. Unfortunately, the interface remains about the same; accessing sub-menus is often a manner of scanning the screen for an obscure button prompt, and there’s no PC-style hotbar for items and gear. Definitely still feels like a game most people will want to play with a controller. I’ve gotten a handful of hard crashes to desktop while in the middle of a pitched battle against a large monster, and every time it’s happened, I’ve lost an annoying amount of quest progress. I’m not sure if the crashes are the game’s fault or are the result of something with my PC, though I play a lot of graphically demanding PC games and the rest of them don’t regularly crash. MHW makes my CPU run unusually hot, and after lowering my CPU overclock by a few Mhz, my core temperatures during gameplay dropped and I haven’t had a crash. Could be that was the cause. Given that MH:W made my PS4 Pro crank up its fans until the console sounded like a jet taking off, it stands to reason that something in its inner workings puts CPUs through the wringer. However, no game should be causing such consistent crashes, given that other games work on my PC just fine. 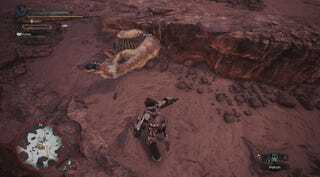 Of course, all the findings in this post are limited and preliminary—the usual tech-focused sites will doubtless soon do full performance analyses, which will give a better sense of how MHW performs across a variety of setups and graphics cards. It’s also worth noting that I’m playing a pre-release version of the game, without the updated GPU drivers that typically accompany the launch of a big PC game. Given that I’ve seen some early performance reports already out there, I figured I’d share how it’s been for me. 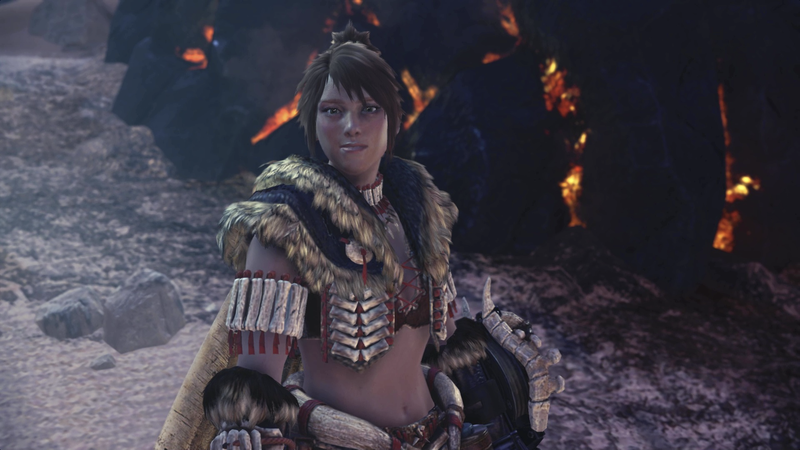 Monster Hunter: World is a good game to begin with, and it plays pretty well on PC, even if it’s more demanding than it seems like it should be.